America has M&M’s, the Hershey’s Bar, and scores of other middling chocolate “iconic” candies that we consider classics. Germany has too many amazing varieties to count, so let’s just give them the Gummy Bear. Mexico has the lead-infused yet delicious chile coated mango lollipops. Sweden has the fish, of course. And England has their precious, amazingly gorgeous “boiled sweets”. That’s British for hard candy. 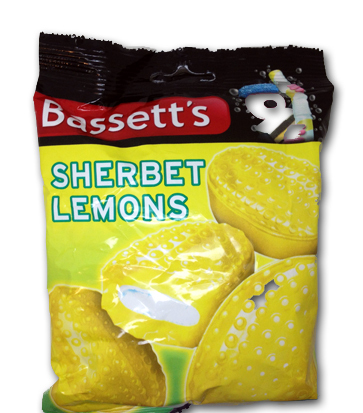 One of their most iconic and long standing, referenced by Harry Potter and scores of others, are the Sherbet Lemon. The concept might seem standard today, but back in ye olde day? This was groundbreaking. 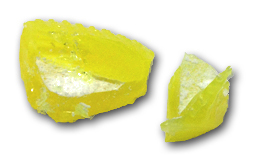 A hard candy with semi fizzy sour powder in the middle. I’ve loved this concept since I had my first Zotz, so I’m certainly going into this optimistically. 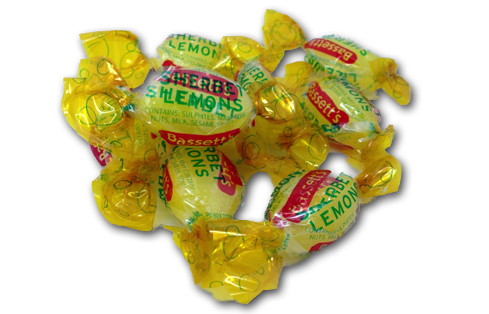 Individually wrapped, they look like your standard hard candy-until you unwrap them. Look at the bumps on this off-shaped piece. I’m not sure what the bumps are there for, but I’m digging it. Tongue fodder. These are good. Yummy, lemony flavor-not too tart, but just a bit. Definitely comes off as leaning more towards the real lemon side of things as opposed to super sour fake (yet sometimes delightful) lemon. 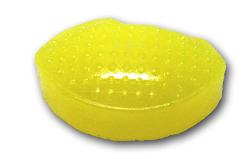 The fizz usually is a slow release, which starts to escape the pod and get into your taste buds about halfway through the sucking process. It’s nice tasting, and just a bit tart. Overall, I like these a lot. But here’s the thing. And I say this with mad respect to Ozzy Osbourne, Benny Hill, and any other people that might have ever come from England : Zotz are better. I know, I know. An Italian candy? What the what?! But Zotz ARE better, if you like things more on the sour side. If you’re not a sour addict, then you might find these superior. There’s room in my world for both of these to coexist, but since they’re so close to the same thing, I lean towards Zotz. The good news is that these are relatively easy to find-click the link, and check them out for yourself. Bonus fact: if you buy a bag of these and leave them laying around the house, people will think you’re cooler onnacounta you travel to England. When they ask about your trip, roll your eyes and give them a “I don’t EVEN wanna talk about it”. That’ll keep them guessing. I want to buy this caramels but i leave in Greece…how is that possible and what is the cost of that…. ?